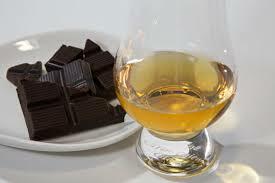 Yes it is said chocolate goes with everything, in the case of chocolate and whiskey they are definitely correct. Joanne will be joining us this year with a nice selection of some of her fine chocolates. You can chat with her on the floor and get a better understanding of what chocolates go with your new whiskies. You may have seen Joanna and her team and other events around the City of Ottawa. Her shop JoJo CoCo Chocolate is located in Kanata at 499 Terry Fox Drive, www.jojococo.ca. This Saturday evening you can find Joanna educating whiskey lovers another match their whiskey and chocolate, this'll be fun! See you Saturday night at Whisky Ottawa.